Welcome to the Perdido Sun vacation rentals! Located in the heart of one of the world’s most beautiful vacation spots, Perdido Key, this renovated complex offers un obstructed Gulf views and private beach access. The complex offers two pools for year round swimming, one outdoor and one indoor heated. A few other amenities include high speed internet in every unit, a fitness room and a hot tub. 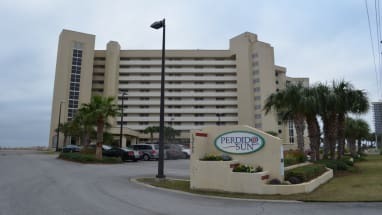 Perdido Sun is truly located in a prime location. While the area offers a secluded and peacefulness to your vacation, lots of amenities are still within a short distance. Orange Beach and Gulf Shores are just down the road. The area offers year round golf, world-class shopping and endless dining. Spend the day on one of the local fishing charters or rent a paddle board and explore the emerald green waters of the Gulf. Perdido Sun truly is a perfect place for a fun and relaxing family vacation. Plan your stay at Perdido Sun with Emerald Coast By Owner. Browse our Perdido Sun listings below and be sure to click on the "Email Owner" button found on each listing to contact the property owners directly. Booking direct with our property owners will assure you are not paying Service Fees. 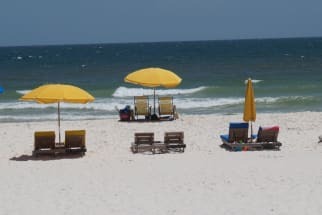 We hope you enjoy your stay on the Emerald Coast at Perdido Sun!